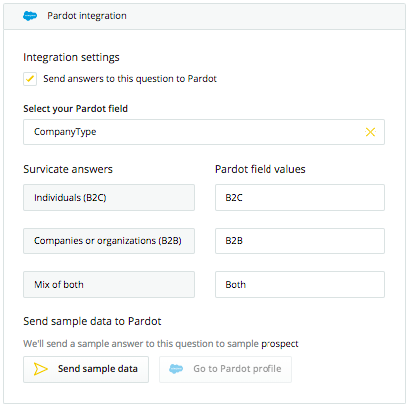 Survicate and Pardot integration allows you to send survey responses to your prospects fields. You can use it for better segmentation, prospect grading and qualification. The set up is very easy and can be finished in less than 5 minutes. Question level integration - for each survey question you can decide if you want to send responses to a chosen prospect's field or not. You can choose existing prospect fields from the list, or create a new one without leaving Survicate. Responses are sent in real time. 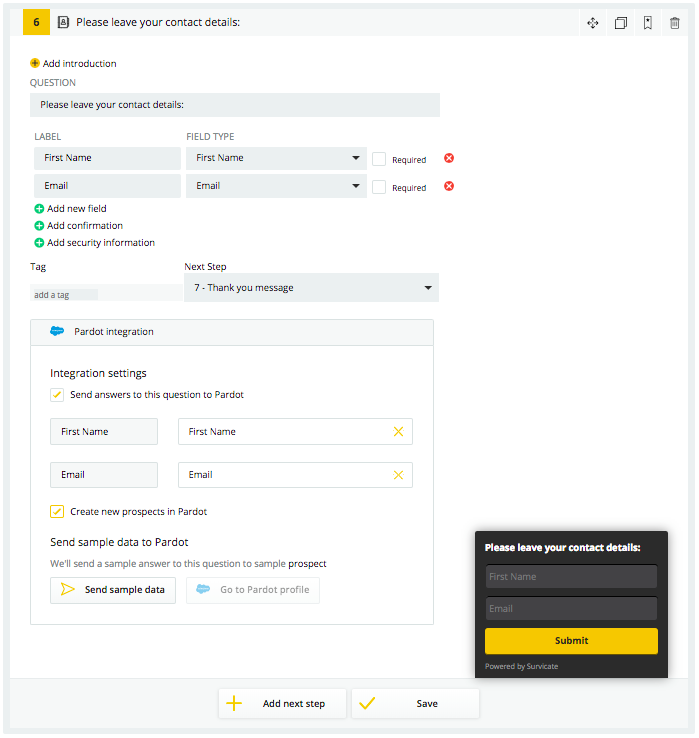 You can use Survicate contact forms to generate new leads in Pardot. How to enable the integration? API Key - you can find it here. Once enabled, you can find additional integration settings for each survey question. As soon as you set everything up, the integration is working and you're welcome to test it. To create a Prospect from Survicate all you need to do is open a contact form and click Pardot integration > Send answers to this question to Pardot > Create new prospects in Pardot.